There are many, many vape brands in operation right now. And the reason for this is simple: vaping will be a $61 BILLION a year business by 2025. But navigating your way through ALL these brands, especially if you’re new, can be extremely disorienting. I remember when I first started. It was like learning a new language; the sheer volume of information I had to acquire was just insane. Who were the top vape brands? Who made the best hardware? Who focussed most on quality control? Am I insane for trying to understand all of this!? Not ALL vape hardware brands are equal – some are good, some are bad. As a new user, you want to avoid the bad ones (for obvious reasons). This post will help you do this. It will show you the vape brands we use and trust the most. And this will help you find the best gear for your needs. No more wasting money on inferior products from inferior brands. Two excellent things, as I’m sure you’ll agree. I have broken this post up into two main sections: Cheap/Mid-Range Vape Brands and Premium/High-End Vape Brands. This is where the vast majority of the action is in the vape space. 95% of ALL vape gear comes from this section of the market, whether you’re talking about vape tanks, RDAs, mods, or RTAs. 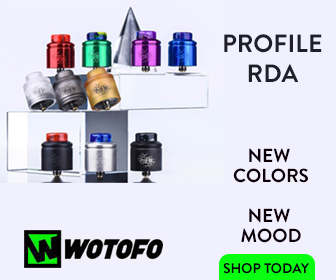 Wotofo (View Products) – Wotofo makes tanks, mods, RDAs, squonkers and everything else in between. The company has been one of the dominant forces in 2018/19 after realizing a slew of truly awesome products. Easily one of the best vape brands around right now. GeekVape (View Products) – GeekVape, like Wotofo, makes seriously good hardware at very competitive prices. Whether you’re after a mod, a tank, an RDTA, an RTA, or a squonk mod, GeekVape has whatever you’re looking for. Innokin (View Products) – Innokin might not be quite as prolific as GeekVape or Wotofo, but the gear it produces is excellent. The Innokin PROTON kit is one of our #1 vape kit recommendations for 2018, for instance, and the company also makes a lot of very good tanks. Vandy Vape (View Products) – Vandy Vape kind of pioneered the whole YouTuber-designed vape gear phenomenon. It produces tons of excellent hardware, notably an array of brilliant RDAs and RTAs. Bottomline: if you go with Vandy Vape you’re in good hands. VooPoo (View Products) – The VooPoo Drag Mod is one of the best vape mods ever created. The VooPoo Drag 2 ain’t to bad either. VooPoo’s GENE chip is also one of the best in the business too. If you like powerful mods, VooPoo is a name you need to remember. Vaporesso (View Products) – Vaporesso is a very innovative brand. Its OMNI Board 4 chipset is brilliant. So too are its mods and tanks. High-end performance and looks at low prices. What’s not to like? SMOANT (View Products) – SMOANT is a smaller brand than most mentioned here, but it does make very good, very reliable products. I am a huge fan of this brand, simply because they make great hardware that works great and is easy to use. Augvape (View Products) – Augvape makes A LOT of great gear. Most notably mods and RTAs. I adore the Augvape INTAKE RTA, a 100% leak-proof tank. And its mods are also great as well. Quality stuff, basically. This is a smaller segment of the market, usually reserved for the most experienced of vapers – AKA the guys and gals that don’t mind spending three figures on their vape gear. In the high-end, premium-end of the vape market, you get outstanding build quality, brilliant performance, and stunning hardware. But it is pricey and therefore usually not for beginners – unless you got deep pockets! Lost Vape (View Products) – Lost Vape basically make the best DNA mods on the planet. 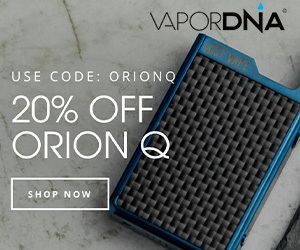 They also make one of the best pod mods too (the Lost Vape Orion) which also happens to run on a DNA chip. SX MINI (View Products) – The YiHi chip, like EVOLV’s DNA chip, is one of the market-leaders for accuracy and performance. If temperature control vaping’s your thang, an SX MINI mod is just what you need. Tom Hardy uses this brand as well. And he’s Bane! 528 Customs (View Products) – The Goon RDA. The Goon LP. 528 Customs basically makes some of the biggest hittin’ RDAs on the planet. A classic brand with a solid reputation for brilliant build quality and performance. SVOE MESTO (View Products) – SVOE MESTO makes Kayfun tanks and these are basically the best MTL vape tanks on the planet. Bar none. They produce market-leading flavor and the cost A LOT. But if you’re serious about MTL vaping, they’re the only game in town. dotmod (View Products) – dotmod makes mods and RDAs. It does it brilliantly too. The design, the build materials. Everything is 100% on point. If you like power, good looks, and performance, dotmod is your man. And that’s it for our preferred vape brands right now. Want This List To Go? Or For Future Reference? Download Our Free Guide To The Best Vape Brands! This list doesn’t include ALL vape brands, just the ones we know and trust. I’ll add more as I test more and use more, but for right now these are my go-to brands for quality and performance. If you’re interested in finding out what the best new mods are right now, you should 100% check out our Best Vape Mods Guide. It lists all the top-rated vape mods from the past 12 months. If you’re new to vaping, how in the hell are you supposed to know what’s good and what isn’t? Simple: you can’t – it takes time to learn the industry, get acquainted with the brands. This is why I put together this guide in the first place. It’s designed as a one-stop shop for the best vape brands and companies producing hardware today. I’ve kept it small and focussed simply because, after years of vaping, these are the vape brands that I know and trust. However, if you do have any additional questions, or you just want to talk about your options, do not hesitate to give me a shout via our the VapeBeat Facebook Page.